Has it really been 2 years since we posted on this site? Time flies when you are making jelly.... and cookbooks! We spent some time this winter making an "ordinary cookbook". This cookbook contains some favorites from family and friends. We have included the recipe for hot pepper butter and pickled beets. 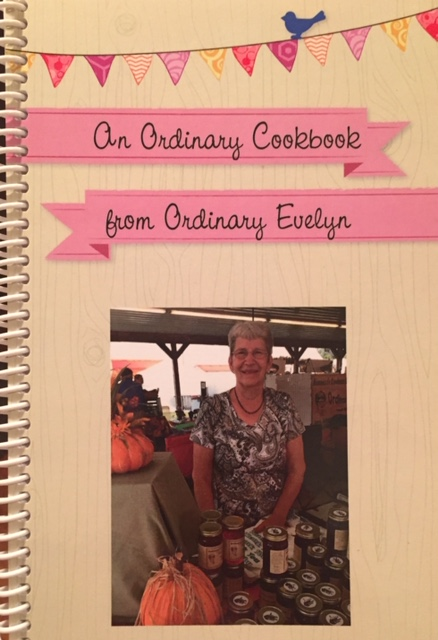 There is a section devoted to ideas and ways to use Ordinary Evelyn products. It's nothing fancy but many people have told us they enjoyed reading the stories and looking at the pictures. You can find the cookbook at the Capitol Market in Charleston or you can order from this site- just click on the online store. Enjoy!